This tongue-in-cheek urban fantasy serial is meant to keep me occupied while I wait for feedback from beta readers on The War of Shadows. I’m pretty excited about this one because it’s so different from anything else I’ve attempted. 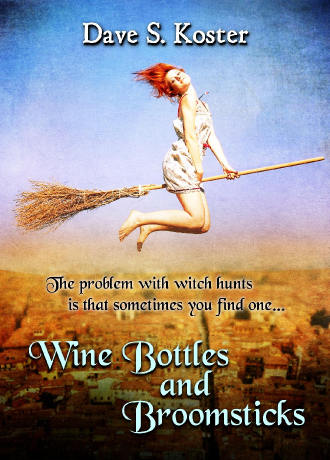 It will be available in random installments at channillo.com (http://channillo.com/series/wine-bottles-and-broomsticks/). I don’t have a release date yet, but It’s my main project at the moment. I’m hoping to release the first installment in the next few weeks and then roughly once every other month or so after. I’m sure you’ll be hearing all about it as I progress. This entry was posted in Wine Bottles and Broomsticks and tagged fantasy writing, serial fiction, short story, wine bottles and broomsticks.